Quarks, von Michael Scharrer, mit POV-Ray gerendert. 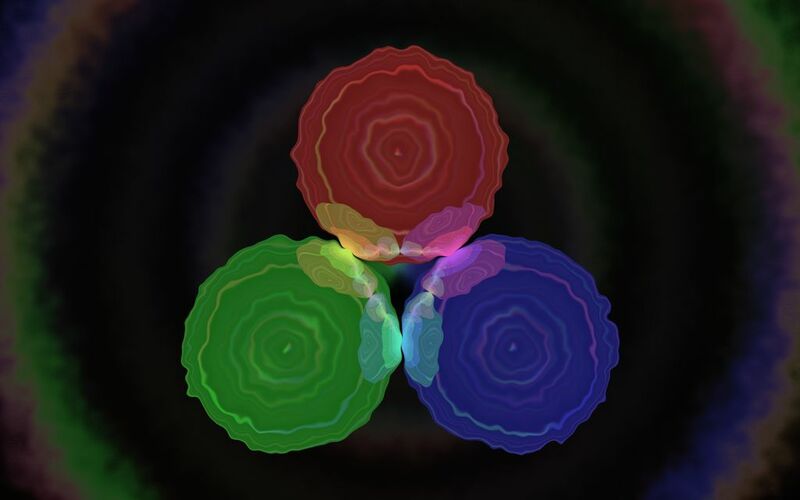 100% realistic representation of 3 quarks making up a hadron. The scene itself is rather boring and the image only becomes interesting because of complex reflection and refraction effects. Es existiert bereits eine neuere Version von dieser Szene. Dies ist Version 1 of 2.